Rector of the Baku branch of Lomonosov Moscow State University, head of Nizami Ganjavi Scientific Centre for the Study of Azerbaijan and Caucasus at the University of Oxford professor Nargiz Pashayeva has met with Associate Director of Development Antony Green and head of Nizami Ganjavi Scientific Centre at the University of Oxford on behalf of UK Edmund Herzig. They discussed scientific and educational activity of the Nizami Ganjavi Center at the University of Oxford for the year 2017. Hailing the successful cooperation with the head of Nizami Ganjavi Scientific Centre at the University of Oxford Nargiz Pashayeva, Antony Green said this collaboration is based on mutual trust and confidence. He thanked professor Nargiz Pashayeva on behalf of the university leadership. Antony Green noted that over the five years of its activity, Nizami Ganjavi Center at the University of Oxford has already proved its academic image. He expressed the University of Oxford`s readiness to make every effort to ensure the permanent activity of Nizami Ganjavi Center under the leadership of academician Nargiz Pashayeva. 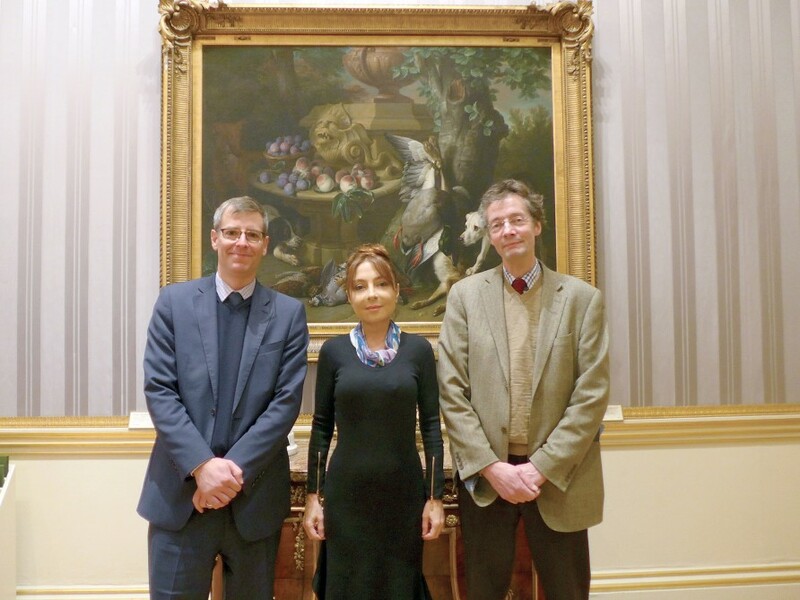 Former Director of the Oriental Studies Institute at the University of Oxford, current head of the Nizami Ganjavi Center on behalf of the UK and leading professor of the Oriental Institute Edmund Herzig also praised the productive activity of academician Nargiz Pashayeva. He said it was her proposal to name the Oriental Institute of the University of Oxford after Nizami Ganjavi, adding the proposal has already been officially approved. Academician Nargiz Pashayeva expressed her gratitude to professor Antony Green and Edmund Herzig for the great trust in and respect for the entire scientific community and history of Azerbaijan. Nargiz Pashayeva noted that the permanent functioning of the Nizami Ganjavi Center at the University of Oxford is, in general, the undisputable success of Azerbaijan. She described the Center’s activity as successful, expressing her hope that the Center will make the world's top university more accessible for all the Azerbaijani scholars and students in the future. The Nizami Ganjavi Scientific Centre for the Study of Azerbaijan and Caucasus at the University of Oxford was established in 2013 and is the only officially recognized functional academic center at the University of Oxford that represents Azerbaijani science worldwide.